The Worthy Garden Club Hopservatory is now open to the public. 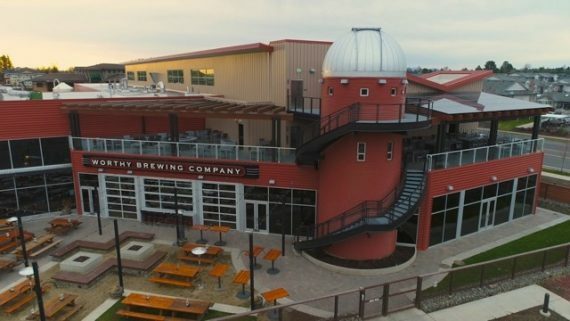 Worthy has partnered with the Oregon Observatory at Sunriver to offer weekly tours of The Cosmos at Worthy Brewing. Worthy Brewing hopes to raise scientific literacy, stimulate cosmic curiosity and foster appreciation of our own planet. Register for a tour Wednesdays and Sundays 9 p.m.-10 p.m. on the Worthy Garden Club website (www.worthygardenclub.com/hopservatory.html), or enjoy open viewing Thursdays, Fridays and Saturdays (9 p.m.-11 p.m.) by signing up at the host stand. Kids 6 and under free. For Earthlings 7 and over, a $5 donation is requested. 495 NE Bellevue Dr, Bend, Or. 97701.